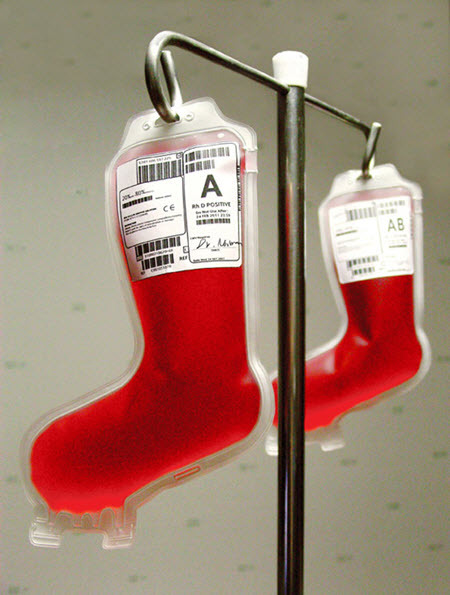 It’s Christmas once again, Nurses! How time flies! 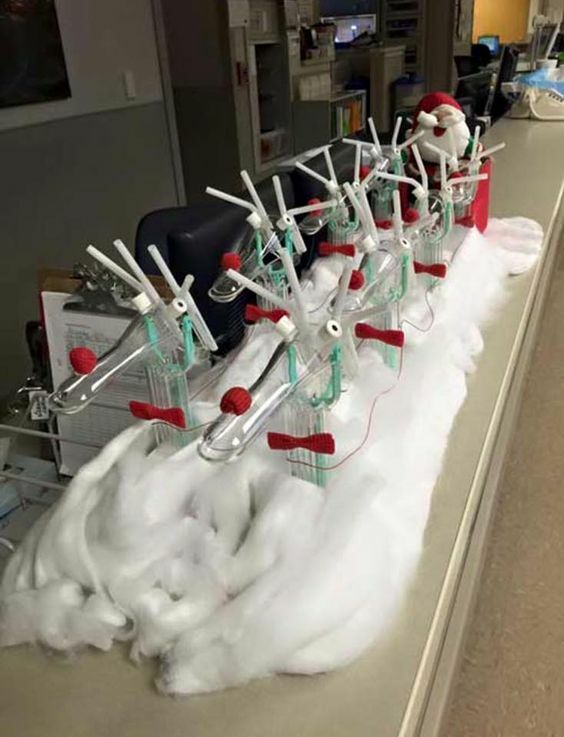 Seems like last year, we were already talking about some awesome DIY Christmas projects for your nurse station and patient floors. If you’ve exhausted the ideas on our earlier post, it’s time to come up with newer ideas! 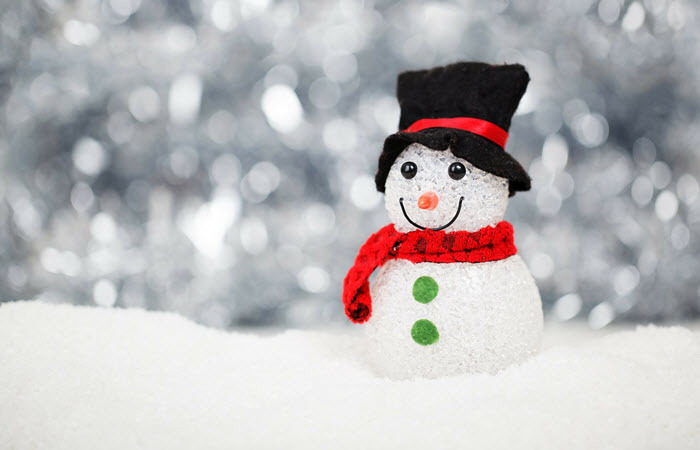 Check out our new finds from Pinterest and nurse websites and see how you can spread holiday cheer this Christmas via holiday decor. 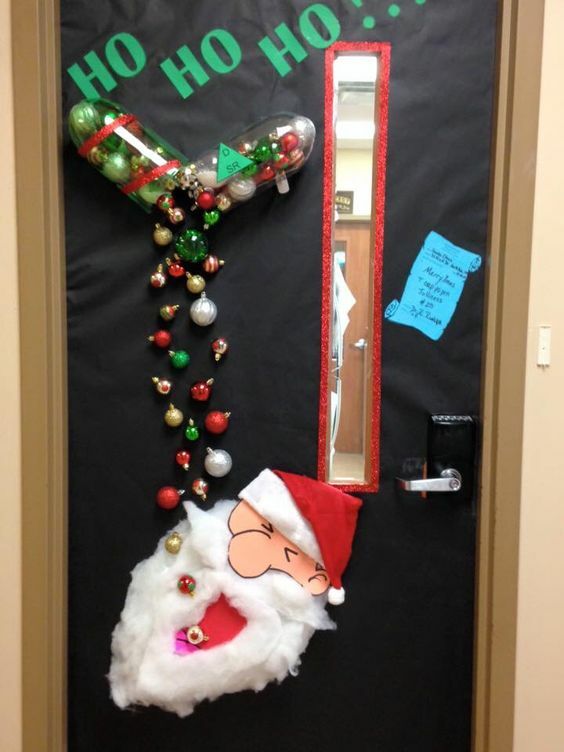 This humorous door decor has Santa Claus happily glugging down a potpourri of colorful pills. 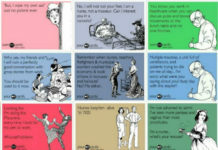 It’s poking some fun at our patients who love their meds. This door decor would look great in any hospital or clinic setting but would be perfect for the pharma ward or dispensary. Isn’t this reindeer decor super cute? 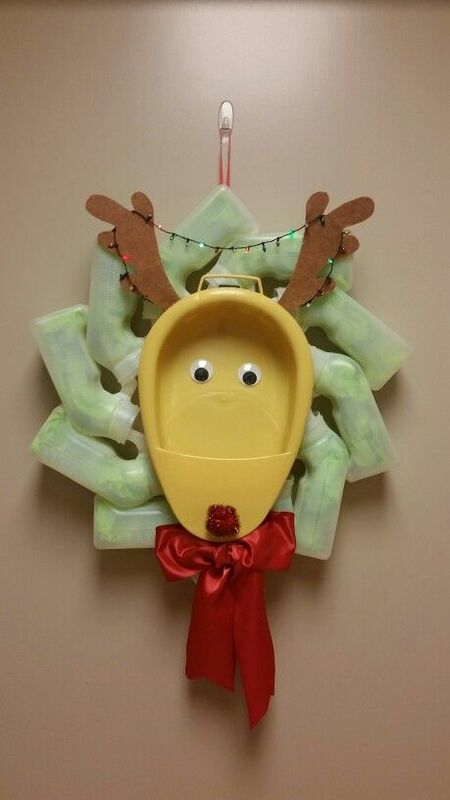 The yellow bedpan makes Rudolph the Reindeer pop out even more. And while the wreath in the background may look weird, closer inspection will show that it’s actually a urinal Christmas wreath. The green color comes from the green stuffing inside each urinal. 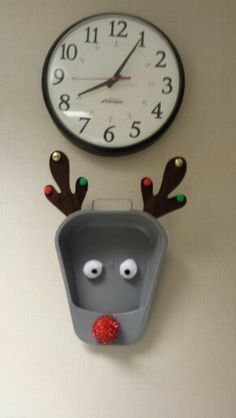 This urinal is perfect for the pedia ward on account of the cute reindeer or for wards where patients often need urinals. And here’s another simpler version if you’re pressed for time. We’re not sure how doable this next Christmas idea is because babies are super sensitive. We’re just throwing it out there for the cute factor. 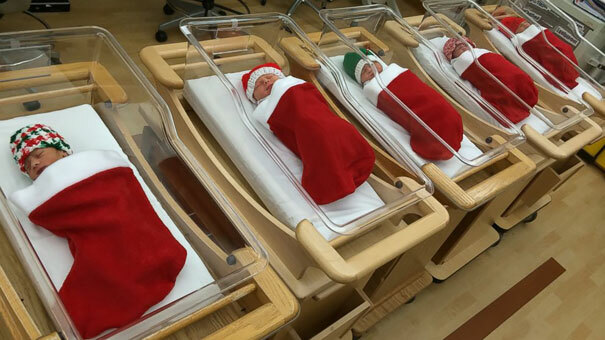 Imagine viewing your baby on Christmas and finding the little one snug inside a stocking! 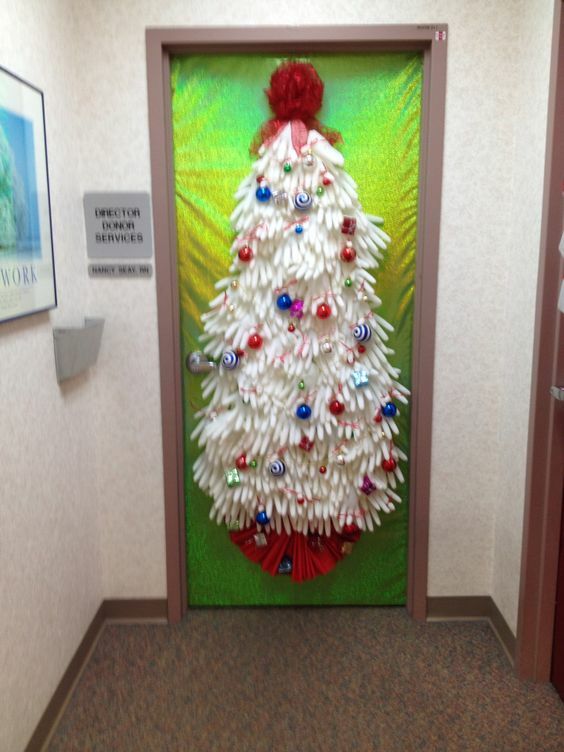 Our list for DIY Christmas decor just won’t be complete without this hospital staple – the Glove Christmas Tree. Last year, we featured a cute tabletop Christmas tree made of white and green gloves. 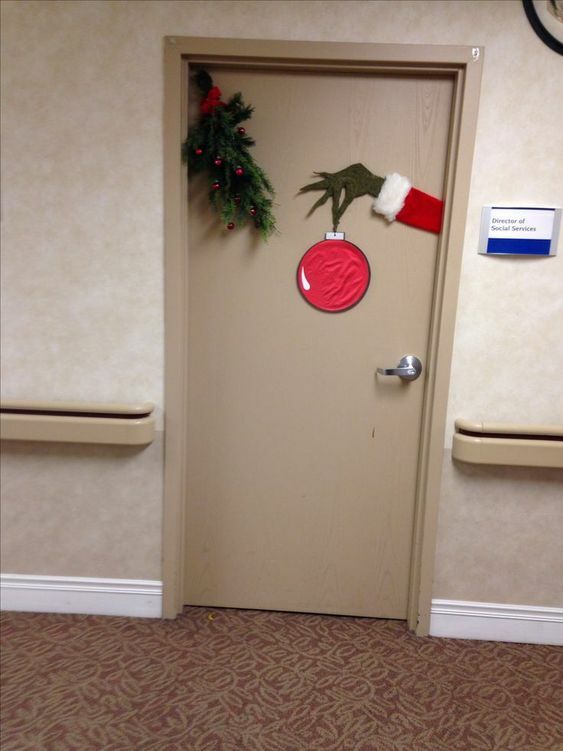 This year, we’re featuring a door decor made from white gloves, red ribbons, and Christmas balls. For this type of Christmas tree, latex gloves are the best because they are more durable. Reuse and recycle! This is the perfect example of recycling materials for the holidays. 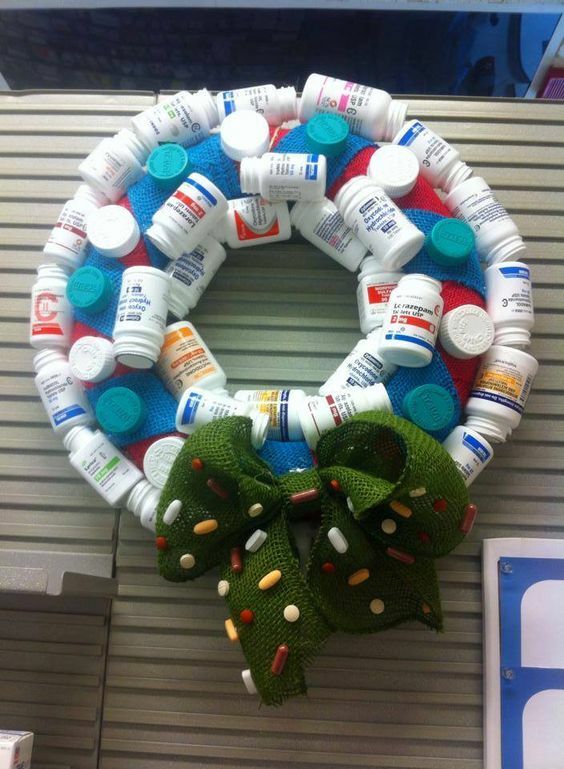 Instead of throwing out pillboxes, they can be strung together to make a Christmas wreath. If you are using this for the pedia ward though, skip the colorful pills dotting the green bow. Some unsuspecting little kid might pick them out and mistake them for candies. Isn’t this stocking simply perfect? 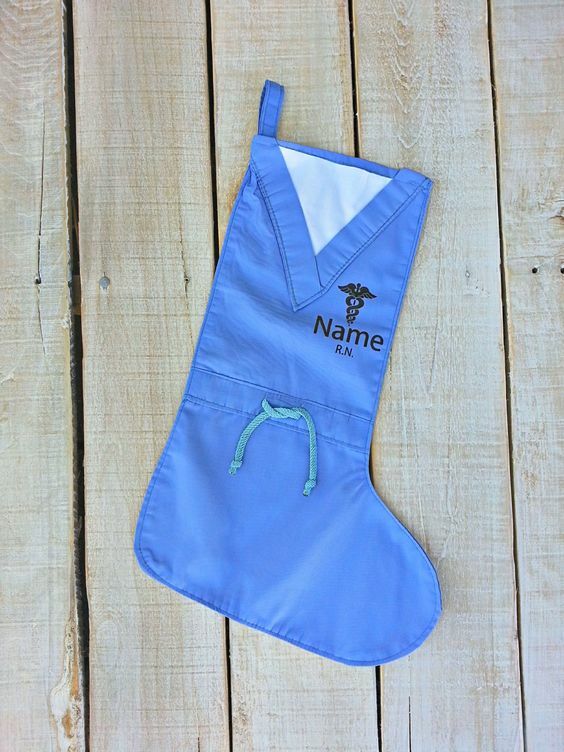 If you’re great at sewing and want something special to give to a fellow nurse, this is a wonderful gift to give this holiday season. 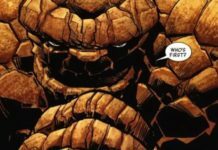 You can bet that it’s a one-of-a-kind gift that will make a yearly appearance. This particular Christmas decor is custom made so we won’t be able to replicate it 100%. However, we can make a similar project using an empty IV bag and some dye. Maybe add some Christmas balls and ribbon to make it more festive. Make sure to go without the IV lines though to avoid mix-ups with real equipment. If you want to add humor to your Christmas decor, why not use something a lot of people are familiar with? This Grinch design is so interesting that anyone who passes by it would surely stop for a moment to look at it. 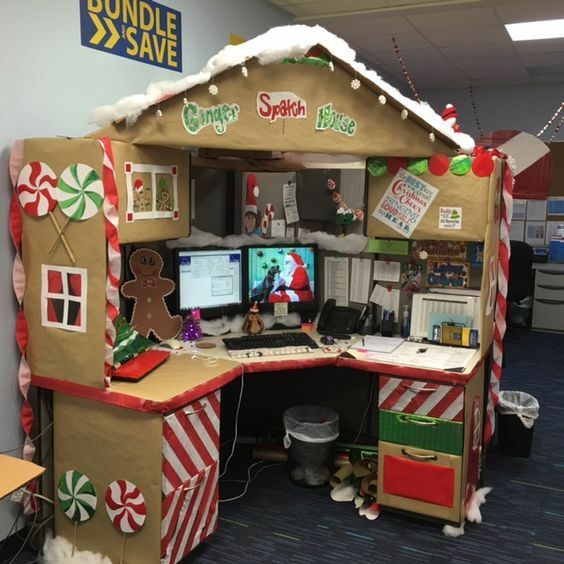 Turn your nurses’ station into a Ginger House and your patients and their relatives would surely have a great time this Christmas. After all, who wouldn’t love a Ginger House? In creating your design, however, make sure that there’s still enough room for you to do your work. The last thing you want to happen is to lose pens, notes, and even charts! 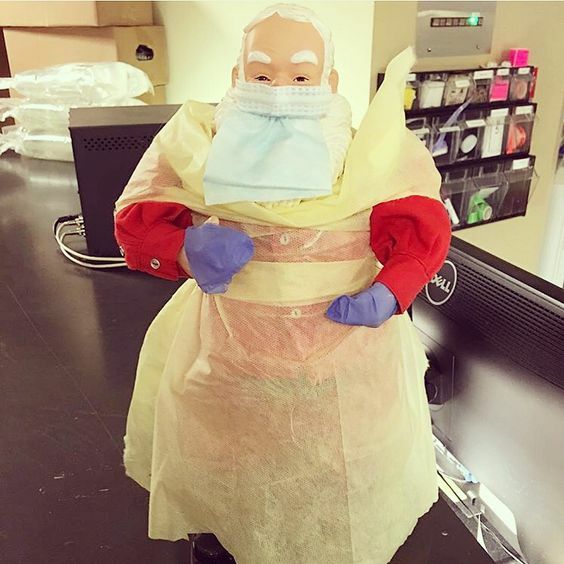 Working in the Isolation isn’t that fun but with this Isolation Santa, we hope to give you something to smile about work. Don’t forget about Santa’s hardworking speculums this year! 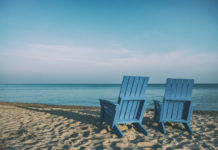 Did you get some ideas from our list? We have plenty more from our original post so make sure to check that out! Happy Holidays, Nurses! Good luck on the decorating this year.